MPs have been speaking Welsh during a parliamentary debate for the first time at Westminster. A Welsh Grand Committee meeting to discuss last November's Budget became the first to use translation facilities after a relaxation of the rules. It was the first time the Welsh Grand, which consists of the 40 Welsh MPs and several MPs from non-Welsh constituencies, has met in two years. 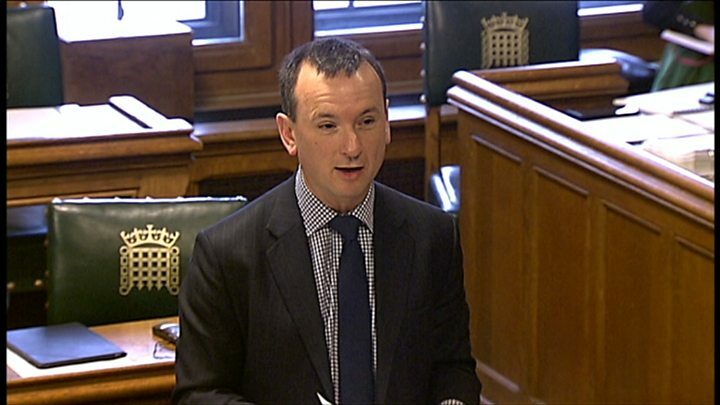 Welsh Secretary Alun Cairns said it was an "historic day". "I am proud to be using the language I grew up speaking, which is not only important to me, my family and the communities Welsh MPs represent, but is also an integral part of Welsh history and culture," he said. "This is a historic day for Parliament and for Wales, and I pay tribute to those in the committee who have campaigned for this change over many years." MPs discussed measures announced by the Chancellor Philip Hammond in last November's Budget. The move on the language follows a UK government decision last year to support the use of Welsh in parliamentary debates.